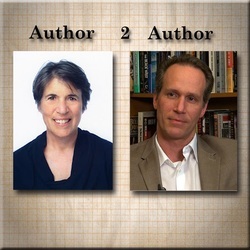 Author2Author is a a live internet radio show I host every week at 2:00 PM PST/5:00 EST. The format is very simple: I invite one writer to join me in a lively back-and-forth about the books we write and the lives we lead and how these two are one and the same. Below are some of the episodes. For a complete list, please visit the Author2Author archive page or subscribe on iTunes. Author2Author with Bill Kenower and Terry Persun. Author2Author with Sir Ken Robinson. Author2Author with Trudi Strain Trueit.